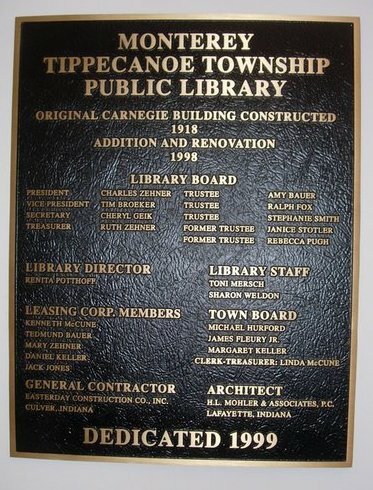 The addition to the Monterey Tippecanoe Township Public Library was completed by Easterday Construction Co., Inc. in 1998. Kevin L. Berger served as the Easterday Construction Project Manager and Leroy Bean served as the Easterday Construction Site Superintendent. 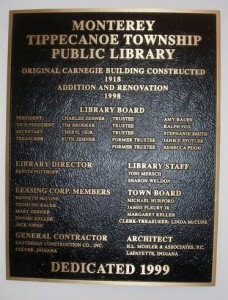 We were pleased to attend and speak at the official dedication ceremony in the summer of 1999. 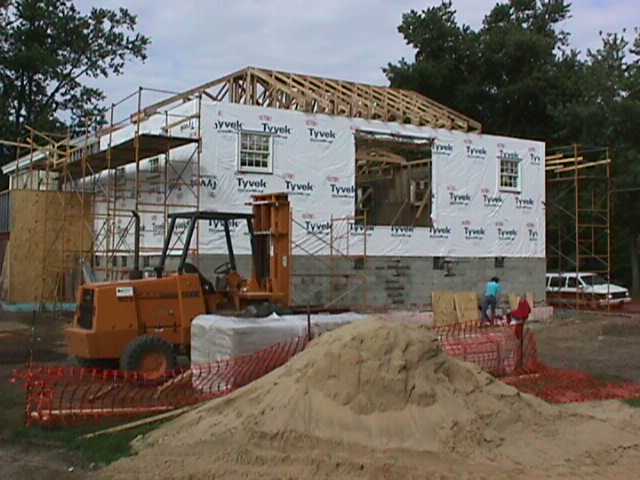 This was a public bid project funded through Rural Development financed by the Rural Housing Service – United States Department of Agriculture and HUD Community Development Block Grant – Indiana Department of Commerce. Christopher Larson of the Kankakee-Iroquois Regional Planning Commission administered the grant work for the project. The Architect was Harry L. Mohler of H.L. 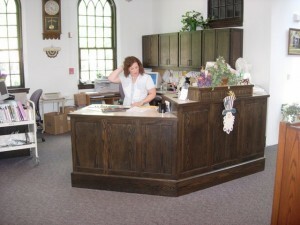 Mohler & Associates, P.C. 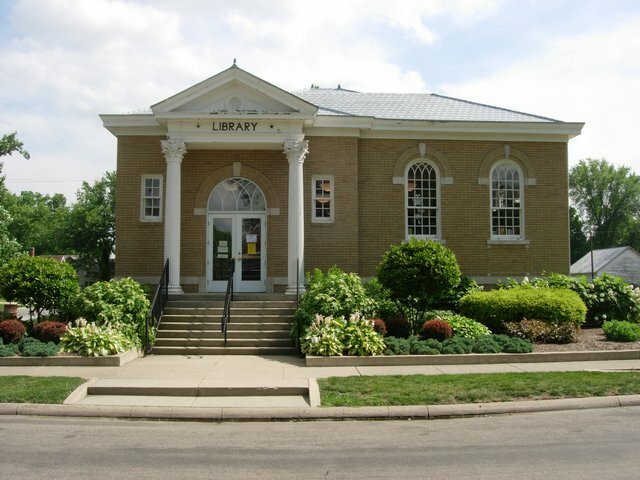 The design was such that it preserved the original historic Carnegie Library while providing for the growth and evolving uses of the Library. 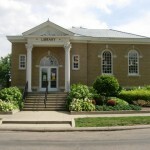 Restrictions were imposed by the historic preservation review requiring that the existing Library and the new addition be clearly differentiated. Mr. Mohler selected a brick that is similiar to the original brick and changed the window style so that there was a break point between the old and the new. The roof was also designed to provide a distinct division between the two sections. 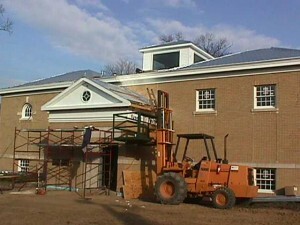 The Library had to remain open during construction, despite the need to create a large opening into the new addition. There was also some remodeling within the existing building including a new circulation desk, new bathrooms and new HVAC. 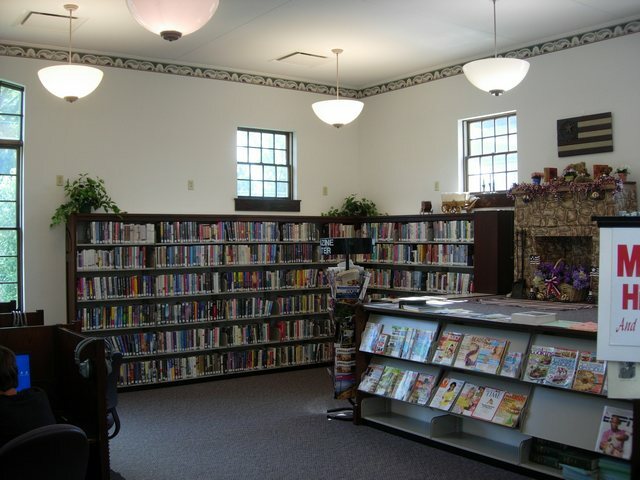 We worked closely with Head Librarian Renita Potthoff and Assistant Librarian Toni Mersch. 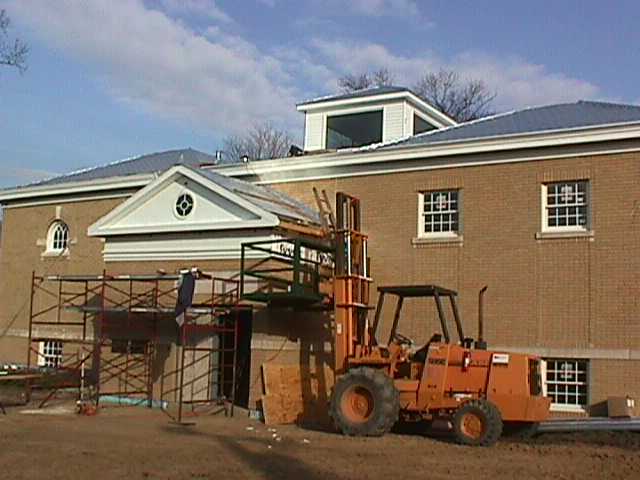 The addition included a new entrance on the west side of the building that formed a vestibule for weather protection. In the tradition of Carnegie Libraries, the original entrance had a large flight of stairs with an elevated entrance. The new entrance was at street level allowing ADA accessibility. A three-stop elevator was included to allow accessibility between the two floors and the intermediate, street level entrance. Prior to this construction there was no off-street parking. To remedy this a new concrete parking lot was included in the project. 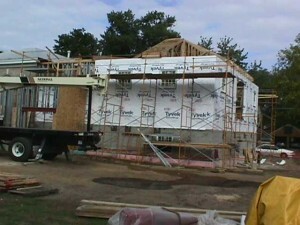 There were mixture of construction materials used for the addition. 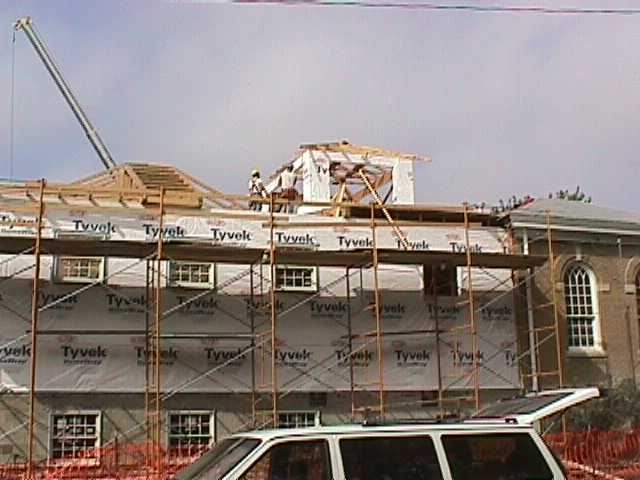 The first floor was constructed using poured concrete walls. 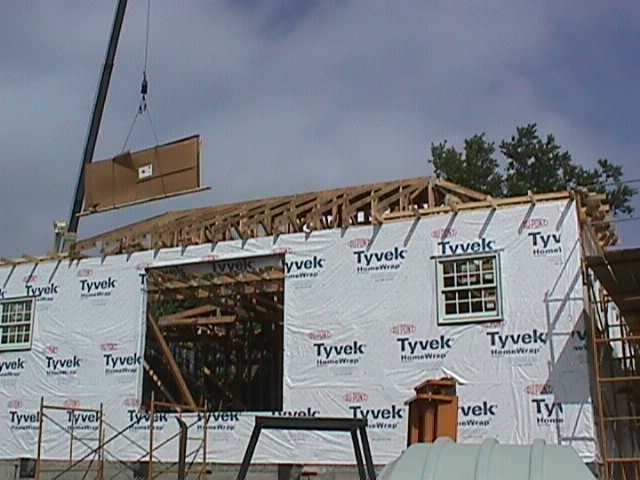 The exterior walls from there up were a mixture of structural steel studs and wood stud framing. Both the steel studs and the exposed portions of the lower concrete walls were protected by a brick veneer. 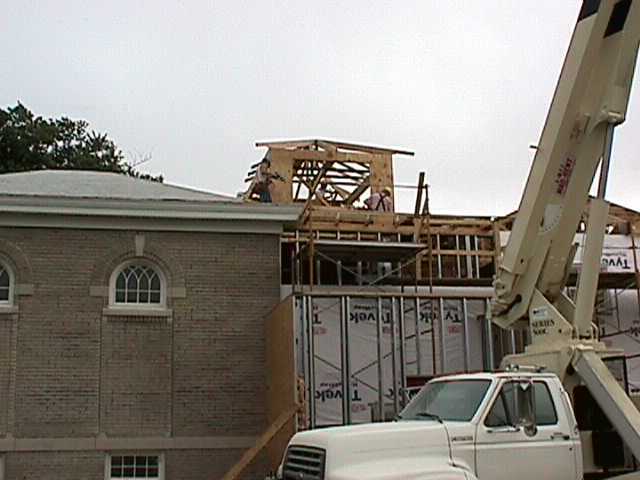 The roof was then capped off with wood trusses and a framed cupola. 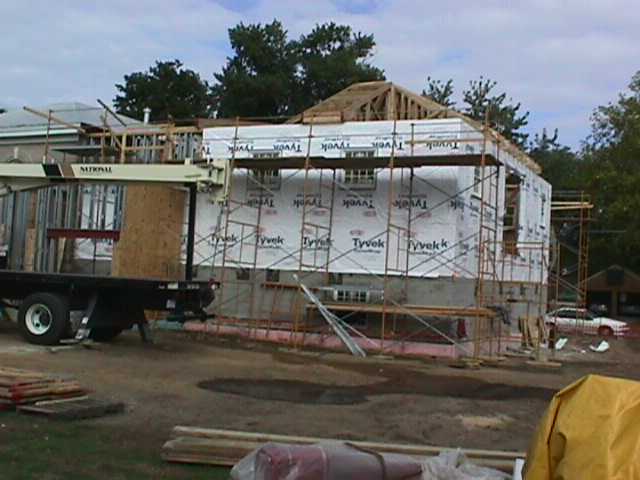 Joist & deck with a poured concrete surface formed the second floor. This was a critical point as the large opening between the old and the new portions of the building had to mesh seamlessly. This had to meld the varying elevations of the original wood floor. To further complicate things, this was completed while maintaining the existing wall between the building for noise and dust control. 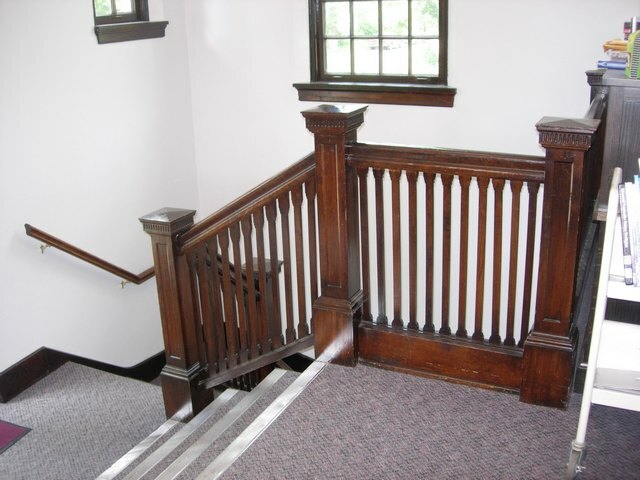 One of the interesting features in this project was the recreation of the original stair railing design. The existing design had a somewhat rustic scrolled, square-edged spindle design. Ansel “Uncle Bud” Cripe was our carpenter for this and he took extensive field measurements to duplicate the design. The Architect was extremely pleased with the match as was the Library Board. 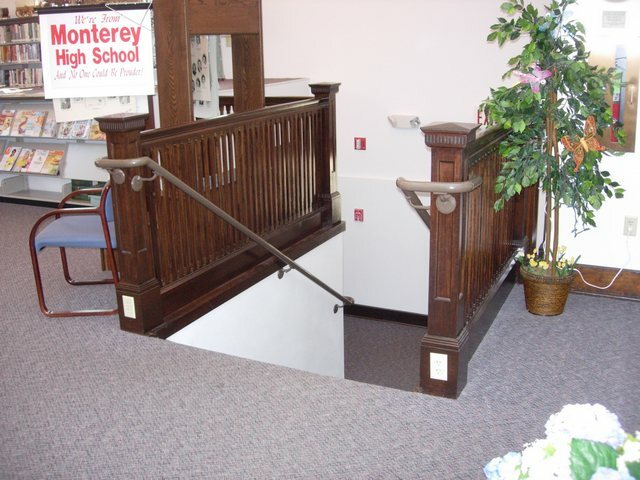 Note that we had to add a steel pipe railing to the new stairs in order to meet current ADA accessibility standards while the existing railing was allowed to remain intact. The look of the new stairs is not as “clean” with the additional railing, but they are safer and more functional. There appeared to be several species of wood used for the old railing, but the new railing was built using Poplar, which has a similar grain and texture to what was there originally. We were able to run wiring within the new structure and provide outlets at the base of the ballusters at the top of the stairs. 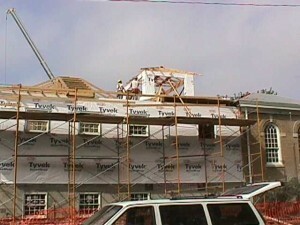 You can see some of the details of the construction in a slide show here. All in all we are quite pleased with the way the project turned out. We believe the citizens of Monterey are well served by this facility. The slide show here has several exterior pictures showing the completed project from several angles.